As we reported last week, Shutterstock has agreed to acquire UK based editorial agency Rex Features. 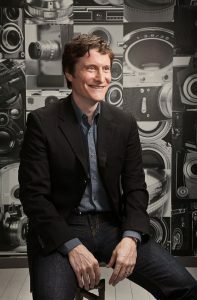 We had a chance to talk to Ben Pfeifer, VP of New Business at Shutterstock about this acquisition and its potential to customers of both companies. Amos Struck: Will Shutterstock make Rex's entire digitized library available at some point to Shutterstock clients? Would it be part of the general subscription offering? Ben Pfeifer: Digitizing Rex’s complete archive is not currently in the plans. The way it works today is when Rex has a client in need of an archival image, the requested image is then digitized. There are no plans to change the way Rex operates in the near term. Amos: How will Shutterstock maintain and possibly grow Rex's contributor base? We see this as a great opportunity for all our suppliers and contributors to benefit from much greater market opportunities. 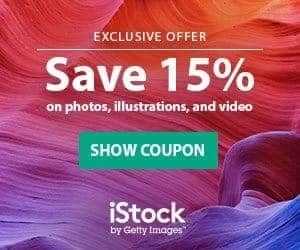 Shutterstock’s customers have been asking for an end to end solution including both commercial and editorial content for years. Rex hasn’t been able to access the commercial imagery buyers that also need editorial imagery – this combination opens up a whole new business to their suppliers and contributors. Amos: What is Shutterstock's short-term/ long-term plans for Rex? Keeping Rex as a separate offering under the Shutterstock umbrella (like Offset)? The Rex brand will continue and we will continue to run their site in parallel with Shutterstock. Rex is really known for personal and knowledgeable service and high standards of content editing and packaging up content for their clients. We think we can help them with technology, as well as investing in our editorial offering more generally. Amos: Will Shutterstock's already existent base of editorial contributors now have a chance for their material to be distributed through Rex? 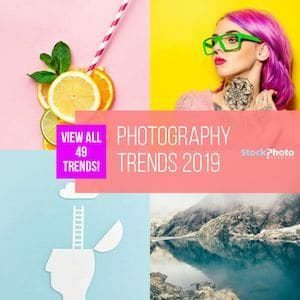 If yes, would this, at present time, allow them to realize a greater percentage of royalty for each picture as Rex's pricing scheme is decidedly different that Shutterstock's? In the immediate future, nothing will change for our commercial and editorial contributors, nor will anything change for Rex’s contributors and suppliers. Amos: How hands on will Shutterstock be on day to day operations at Rex? 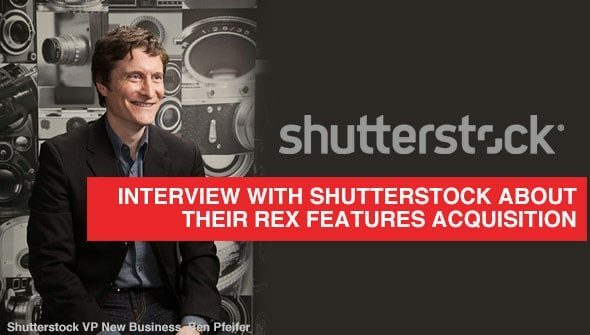 What processes that have made Shutterstock so successful easily find their way into Rex's day-to-day workflow and ways of doing business? Larry Lawson will continue to run Rex on a day-to-day basis and be responsible for its strategic growth. We want to be helpful to the Rex team where it makes sense – most likely in technology and innovation and by investing in more robust coverage in sports and news. Frankly, we know we have a lot to learn from the Rex team. They are the experts in what is essentially a newer market for us. The longer-term direction can only be decided together with everyone’s input. Amos: Have you personally had a chance to speak with the Rex Features staff? What has been their reaction? Yes, I was in London with Jon Oringer the day the acquisition was announced and got to meet with the Rex team. The feedback has been very positive. We share the same goals and we are willing to invest to grow our editorial offering. You are welcome to speak with Larry Lawson of Rex too if you want his direct thoughts from the team. We think this opportunity is bigger than just WebDAM’s clients. There are so many commercial imagery buyers that also need robust editorial imagery that to just limit it to WebDAM’s clients would be barely scratching the surface. There are many commercial customers that are consumers of editorial content, such as traditional and new media companies, editorial filmmakers, educational publishers, bloggers, etc. At the same time, WebDAM is able to offer best-in-class asset management tools that are essential for any image archive, whether you’re a potential editorial or commercial supplier or a customer. We focus very much on growing organically, which we’ve proven over many, many years. We had been building both editorial and music offerings, but by purchasing both of these businesses it just gets us much further ahead. We actually started both of these deals as possible partnerships and realized during the talks it made more sense for all of us to team up. We focus first on solving customers’ problems – it’s why Shutterstock was founded years ago. We only want to help both businesses find more market opportunities, including making investments to help them grow which will in turn have positive benefits for their contributors. Thank you Ben for your detailed answers.